COLORADO SPRINGS, Colo. — USA Triathlon today announced a new partnership with HotelPlanner, a leading online provider of group hotel bookings and individual hotel stays worldwide, as the organization’s Official Booking Partner through 2022. Today, HotelPlanner provides its group travel technology expertise to more than 4,200,000 group event planners globally, while servicing $7 billion in group hotel booking requests in 2017 and an estimated $10 billion in 2018. In addition to USA Triathlon, HotelPlanner partners with renowned sports teams and leagues including the National Football League’s Washington Redskins. HotelPlanner’s services will be available for USA Triathlon’s four owned National Championships — Age Group (sprint and Olympic-distance), Collegiate Club & High School, Duathlon, and Youth & Junior — as well as the new 2019 Legacy Triathlon. In addition, HotelPlanner will offer customized solutions for USA Triathlon certified race directors and coaches. USA Triathlon’s partnership with HotelPlanner will also encompass organizational travel, including for USA Triathlon National Team athletes and high performance staff, USA Triathlon national office staff, and industry events such as the USA Triathlon Race Director Summit and the Art & Science of Triathlon International Coaching Symposium. Additional information regarding HotelPlanner’s services for 2019 USA Triathlon-owned National Championships and events will be shared in pre-race newsletters. For more information about hotel options available through HotelPlanner, or to plan a trip now, please visit hotels.usatriathlon.org. HotelPlanner.com is the leading provider of online services in the global group hotel marketplace, and an established resource for group event planners and hotel partners alike. 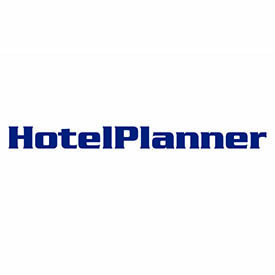 Today, HotelPlanner.com provides its group travel technology expertise to over 4,200,000 group event planners globally while servicing $7 billion in group hotel booking requests in 2017 and an estimated $10 billion in 2018. The company’s robust technology and automated rate checkers provide customers with the guaranteed lowest available rates from a network of more than 100,000 quality hotel partners worldwide, making it easier and faster to book hotels for any corporate and leisure event. HotelPlanner.com’s Pro Sports Team clients most notably include, the Washington Redskins. On an international scale, clients include, Clipper Round the World Yacht Race, European Professional Golfers (EuroPro), Triple Crown Sports, Matchroom Sport, Super League (Rugby), AFC Wimbledon, Euroleague Basketball, Millwall F.C., Hella Verona F.C., and Swansea F.C. Founded in 2002 by CEO Tim Hentschel and CIO John Prince, the company provides 24/7 customer service and has offices in London, England (European Headquarters), Hong Kong (Asian Headquarters), West Palm Beach, FL (USA Headquarters), and Las Vegas, Nevada. USA Triathlon is proud to serve as the National Governing Body for triathlon, as well as duathlon, aquathlon, aquabike, winter triathlon, off-road triathlon and paratriathlon in the United States. Founded in 1982, USA Triathlon sanctions more than 4,300 events and connects with more than 400,000 members each year, making it the largest multisport organization in the world. In addition to its work at the grassroots level with athletes, coaches, and race directors — as well as the USA Triathlon Foundation — USA Triathlon provides leadership and support to elite athletes competing at international events, including International Triathlon Union (ITU) World Championships, Pan American Games and the Olympic and Paralympic Games. USA Triathlon is a proud member of the ITU and the United States Olympic Committee (USOC).